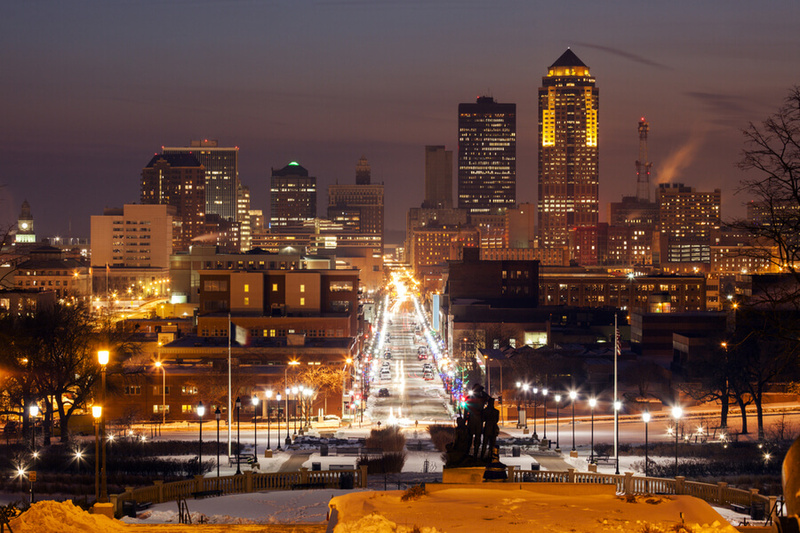 Located in Iowa’s capital city of Des Moines, Prelude Behavioral Services is a nonprofit organization providing comprehensive addiction and behavioral health care services to residents of Iowa for more than 48 years. The institute was founded in 1969 and has undergone several name changes—Johnson County Citizens in 1969, MECCA SERVICES in 2011. On February 1, 2015, the name of the organization was finally changed to Prelude. Since the year 1984, the center has offered mental health counseling and in 2007, the organization has provided treatment, gambling prevention, and education services. The organization currently provides treatment for thousands of Iowans yearly and offers a full-curriculum of substance addiction services. The organization provides treatment options at various locations across Iowa some of which include Tipton, Iowa City, and Marengo. Drug testing, prevention, synchrony, substance abuse, and mental health services are some of the treatment options offered at the facility. The organization offers a family services program which aims to provide assistance to people wanting to help their family and loved ones improve their quality of life. This program incorporates addiction education and a visiting residential unit. Among the levels of care in the substance abuse program, the organization provides clients with detox treatment, outpatient care, transitional housing, and residential care. The Des Moines center is operated in a one-story building which was once a retirement home. Rooms have simple furnishing for personal items and twin beds. The facility can accommodate up to 38 people at a time and residents should expect to have three roommates. The transitional housing program has 12 apartments, two of these with three bedrooms and the other ten with two bedrooms. Some rooms have private bathrooms and others usually have to share the facilities in the gender-specific hallways. The use of tobacco is not allowed on any of the organization’s properties and any medications brought by the patient should be in the original container. Meals are served thrice daily. Breakfast is usually continental and consists of cold cut sandwiches, oatmeal, and bagels. Lunch may involve soup, and dinner is provided by the local grocery store. The organization offers a detoxification unit which seeks to be a safe and comfortable place for clients to detox from drugs and alcohol use. The process is medically supervised and helps to stabilize the client before transitioning to a treatment program. Clients usually stay in the residential program for a period of 20-40 days. The residential care program is designed to provide an intensive treatment experience and an individualized treatment plan. Clinical staff at the facility helps patients to address co-occurring illness concerns. This program is usually offered to adults, adolescents, and families. Clients work closely with counselors to determine the level of intensity of treatment and assessments and counseling sessions are available for all patients. While in the transitional housing program, clients are connected with recovery resources and other recovery families. The program aims to help parents be more responsible, self-sufficient members of the community. Prelude Behavioral Services costs approximately $5,000 for a 21-day stay at the facility but this quota is subject to change as it is greatly dependent on the treatment program a client is registered into. The price stated above is payment without insurance but a sliding scale payment option is available to clients interested. Sliding scale; that is the price is calculated based on the household income of the client. The facility does not offer excursions or outings that take place outside of the campus but they do offer movie nights on the weekends as a free fun time activity for patients. Currently, there is no exercise room available on campus but a recreation time is available on the daily schedule which is a free time when patients can participate in activities such as kickball, group walks, and dodgeball during this periods. Weekly family visits are also allowed at the facility at designated times on Saturdays. Family group therapy is also offered as well from 1:30 to 2:30 pm. Prelude Behavioral Services offers specialized care that is different from the traditional inpatient and outpatient service is offered to clients in the women-only residential program and seeking treatment for gambling addiction. In its entirety, the facility with years in the substance abuse and mental health industry has a wide range of treatment options for prospective clients and is a good option for individuals seeking treatment in a facility where living space is shared with others. Ron holds a Bachelor’s degree from Iowa State University and a Master’s degree from the same university majoring in Vocational Rehabilitation. He has been working with the facility for over 30 years serving in different capacities such Counselor, Associate Director, Vice President, and eventually C.E.O (Chief Executive Officer). He is very passionate about the work he does and is a well-respected professional. Chris holds a Bachelor’s degree from the University of Iowa where she majored in Business Administration and Psychology. She also earned a diploma from the American Bankers Association which is called a Bank Operations Diploma. Working with the facility for over 20 years, she has served in different capacities starting as an Accounting Technician.